Within every council, there are wonderful opportunties to be announced and great stories to be told about Muslim Scouting. In order to make that happen, we needs journalists nation wide and around the globe to make that happen. If you are interested in being one of the Contributors or Editors to Muslim Scouting, we would be happy to hear from you. Please fill out this short application form and we will get back with you shortly with more information on how to become one of our featured contributors! A great opportunity for a young Scout. Please provide your mobile phone number. If you are outside of the United States, please provide your full number to include your country code. What is the primary Scouting unit you are registered to? What is your Scouting Unit Number? Please ientify the local Council you are primarily registered with. Please provide any links to any online blog, articles, videos, photographs, or any other journalism matierials that you have produced and has been published online. 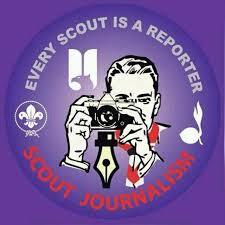 Additionally, please be sure to provide any other persuasive reasons why you would be a good fit to be a Scout Journalist.